Pepperdine Libraries provide full complimentary access to NYTimes.com, New York Times mobile apps, and New York Times in Education to Pepperdine students, faculty, and staff. Search for archived articles at NYTimes.com (or browse archived papers in TimesMachine for every New York Times newspaper published before December 31, 2002 by date at https://timesmachine.nytimes.com/browser/). NY Times resets its "passes" every 364 days, so you may need to visit https://myaccount-nytimes-com.lib.pepperdine.edu/grouppass/access and click "log in here" to extend your access if your pass has expired. 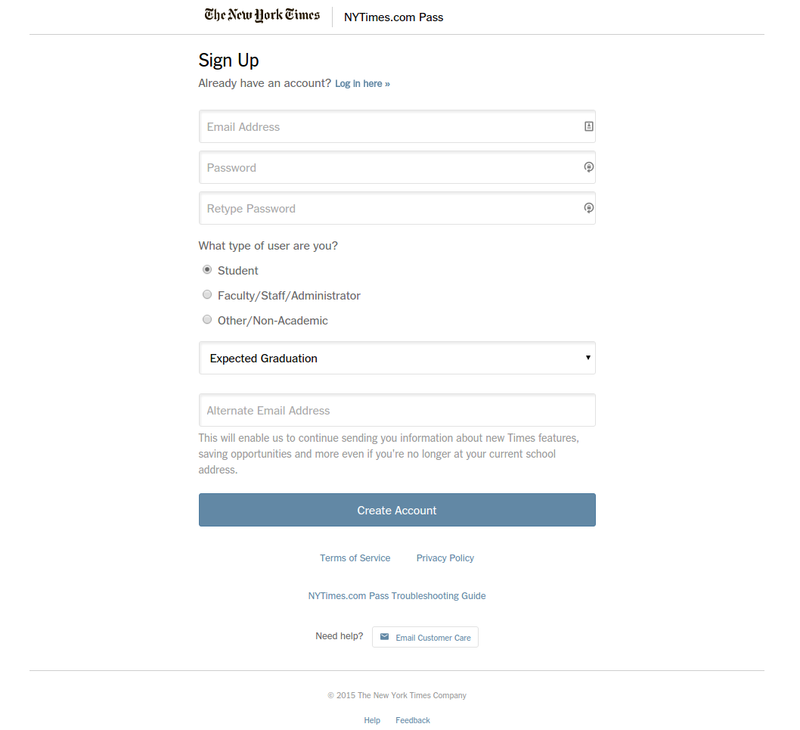 Enjoy full access to NYTimes.com, INYT.com and NYT mobile apps from any device. Once activated from within your participating institution’s network, NYTimes.com Passes can be used from any location until expiration. Visit nytimes.com/mobile to download your free NYT apps. The New York Times requires a paid subscription for full access to its website NYTimes.com; unsubscribed visitors may only read up to 10 free articles per month. The NYTimes.com Pass gives you unlimited access to all content on the site, except for a limited number of articles you can view from 1923 to 1980. I already have a Times digital subscription, which gives me unlimited access to NYTimes.com. What should I do? If you have an existing digital subscription, you are not eligible to activate an NYTimes.com Pass. Please contact edu@nytimes.com to discuss your options. You need to be connected to your institution’s network to activate the NYTimes.com Pass. At this time, access to articles from 1923 to 1980 is limited to five articles for the entire duration of your Pass. 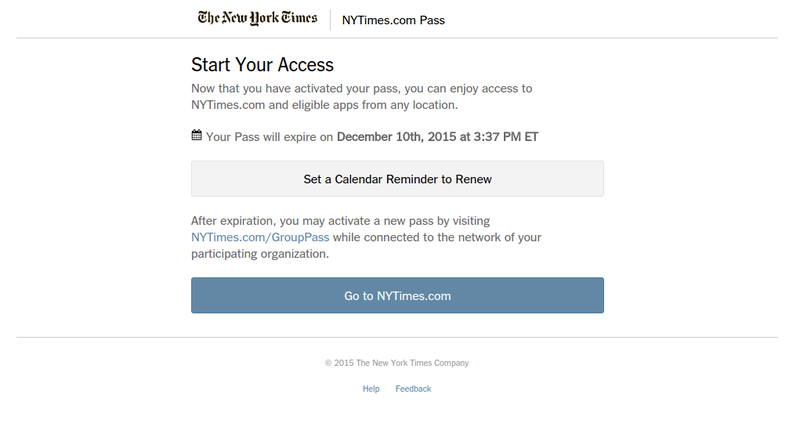 Yes, as long as you have previously activated your NYTimes.com Pass from within your institution’s network. Why am I asked to log in on some occasions and not others?